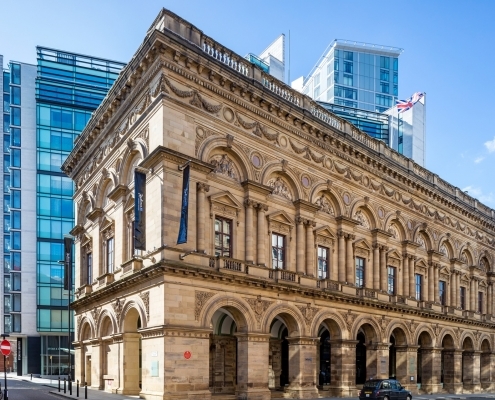 The award-winning Radisson Blu Manchester is located right next to the central convention centre putting it in the prime location for shopping. The best-rated location is second to none with great accessibility to the bars, clubs, and restaurants. Redeeming itself as iconic, stylish and sophisticated the Radisson Blu creates bespoke hotels with elements of individuality. The Radisson Blu Manchester prides itself on its ability to create an experience which elevates the business travellers time. 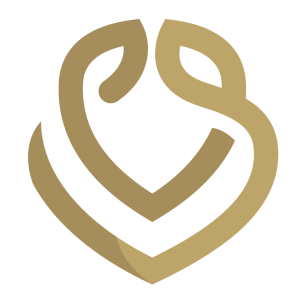 Their focus on hospitality ensures the customer is at the centre of operations and receives the greatest service possible. 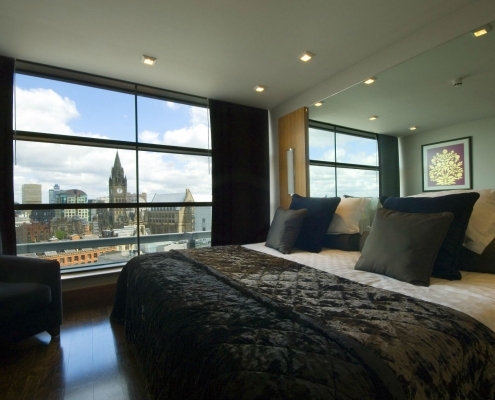 The Radisson Blu Edwardian Manchester offers sophisticated lodging fitted with a champagne lounge, luxury spa, and pool. The Steak and Lobster restaurant offers a mirage of quality beef steaks and seafood. You can discover the finest quality of steaks in relaxing surroundings. Simplicity is key at the Steak and Lobster restaurant where they like to let the food speak for itself. They believe that fresh and locally sourced ingredients make for good quality food. Additionally, the Opus One restaurant serves bespoke afternoon tea in addition to a buffet breakfast by morning and British cuisine by night. The Radisson Blu Manchester is a proud owner of 5 stars, with the quality of service exceptionally visible from the outset. The free WIFI service means that you’re always connected and can get online from anywhere within the hotel. 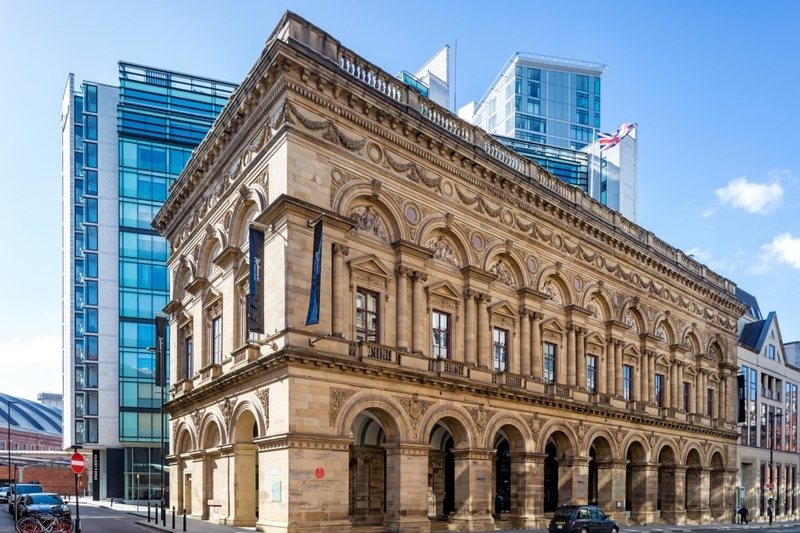 The Radisson Blu Hotel Manchester is situated within walking distance of the Manchester Art Gallery, Deansgate, and the Central Library. BUSINESS CLASS TWIN DELUXE BEDROOMS – The business class rooms feature complimentary WIFI as standard with quality coffee machines too. SIGNATURE SUITES – The signature suites elude glamour with jaw-dropping floor to ceiling windows and attached patios so you can soak up the surrounding views. 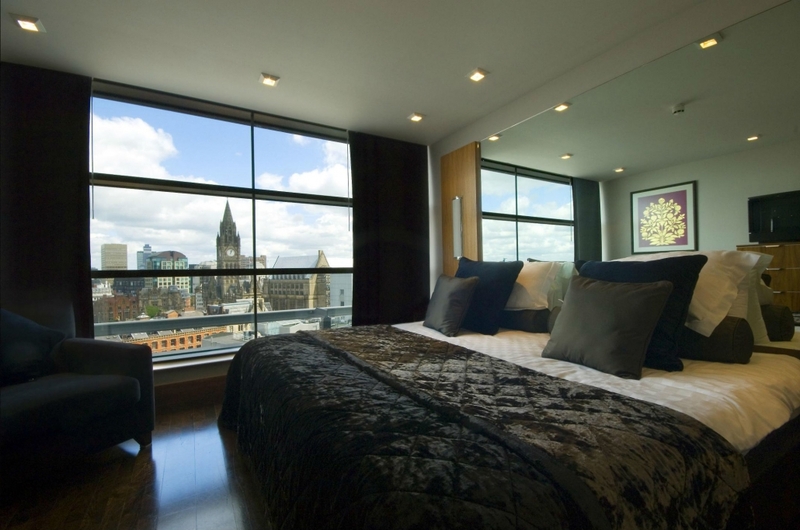 The Radisson Blu Edwardian is the largest Manchester venue with natural daylight. With 22 meeting rooms and a large event room, the conference team can ensure your business needs run effectively and efficiently. The Radisson Blu Edwardian has the capacity for meetings, exhibitions, weddings and private dining with all rooms equipped with the latest technology. The Radisson Blue offers the perfect backdrop to your special day. With service second to none and romantic décor, the hotel is perfectly suited to your event. The Sienna Spa offers ultimate relaxation to leave you feeling calm, collected and rejuvenated. The spa is available for the use of members and guests alike. 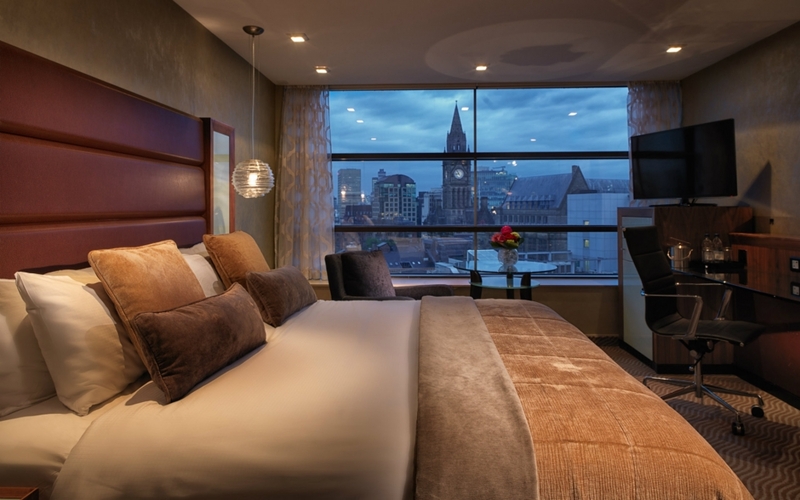 To really complete your trip to Manchester, staying in the Radisson Edwardian Hotel can ensure you feel at ease and relaxed. 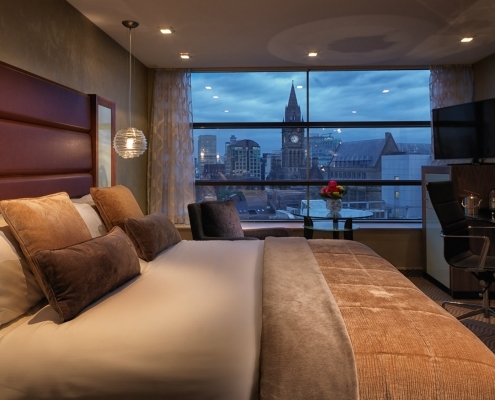 Whether for business or pleasure the Radisson Manchester is the perfect choice.